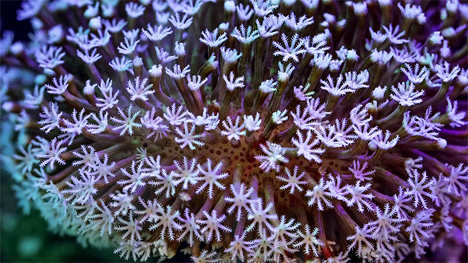 Sea life is fascinating, but we rarely get to see the incredibly slow-moving life of coral, sponges, underwater fungi and other seemingly motionless creatures. Daniel Stoupin, a University of Queensland PhD student, wanted to raise global awareness of environmental threats to marine life, and he accomplished this in a shockingly beautiful way. Using time-lapse photography, Stoupin shot more than 150,000 underwater photographs. He then turned these photos into a mesmerizing, hypnotic video that speeds up the pace of these underwater creatures to a pace that we fast-moving humans can relate to. 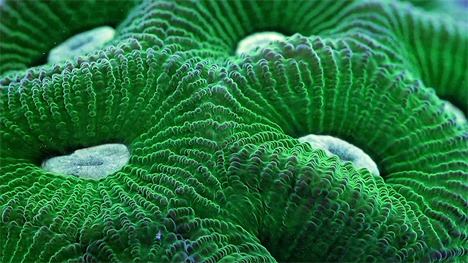 The result is simply some of the most beautiful images we’ve ever seen of underwater life. Stoupin explains his goals and the feeling behind the clip on his blog. This creatures in this clip seem utterly unearthly, as though Stoupin was somehow able to film alien life blossoming and moving. As creatures with relatively short lifespans, we humans tend to view slow-moving organisms as non-living. Stoupin points out that, at this time-lapse pace, humans could watch mountains rise and fall. Our own lives are simply a moment in the lives of these exceptionally slow-moving creatures. This incredible video makes it possible for us to see a world that is typically hidden from us due both to location and time. See more in Earth & Nature or under Science. April, 2014.